President Donald Trump’s executive order on immigration — which temporarily bans refugees and those traveling from seven Muslim-majority countries — misunderstands the overall threat facing the United States, national security experts say. The executive order suspends travel for citizens of Iraq, Iran, Libya, Somalia, Sudan, Syria and Yemen for 90 days. Refugees trying to enter the United States will be put on hold for 120 days; refugees traveling from Syria have been put on hold indefinitely. Michael Leiter, former director of the National Counterterrorism Center under Presidents George W. Bush and Barack Obama, said the way the U.S. vets individuals coming directly from those seven countries — including years of background checks and interviews — is already strong. “Given that we have vetting, it’s really going after a red herring,” Leiter told the NewsHour. Between 1975 and 2015, individuals from these seven countries (either refugees or visa holders) have killed no Americans in terror attacks on U.S. soil, according to immigration expert Alex Nowrasteh of the Cato institute. In that same period, nobody from Libya or Syria has been convicted of plotting an attack in the U.S., according to Cato’s report. A larger issue arises, Leiter and others said, when citizens of Europe and other ally countries travel to those seven countries and then gain entry to the U.S. using the Visa Waiver Program. Trump’s executive action doesn’t address that threat, they said. 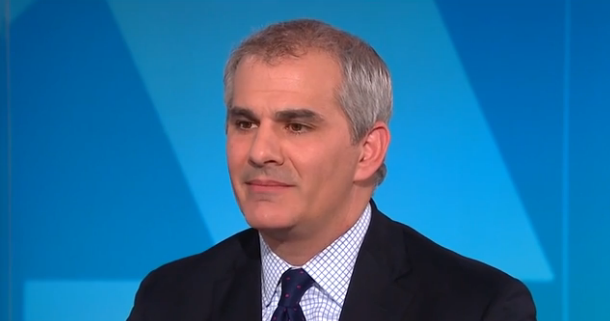 Michael Leiter, former director of the United States National Counterterrorism Center, tells Judy Woodruff that President Trump’s executive order may alienate counties against the U.S.
Trump’s order draws on the seven nations listed as countries “of concern” in an act Obama signed after the Paris attacks of November 2015. The goal was to better address travelers like some of the attackers in Paris, who were French and Belgian citizens, but traveled to Syria for training to carry out their attacks. “Our assessment was that the better place to look was Visa Waiver Program,” former Deputy Homeland Security Advisor on the National Security staff Amy Pope told the NewsHour. Pope, who recently left the NSC after four and a half years and was involved in Obama’s revision of the Visa Waiver Program in 2015 and early 2016, said the focus was on Europeans traveling to the designated countries. “Especially all the foreign terrorist fighters who were leaving European countries and returning to them,” she said. For instance, If a citizen of the United Kingdom traveled to Yemen, they would have go through a more intense visa review process, Leiter said. 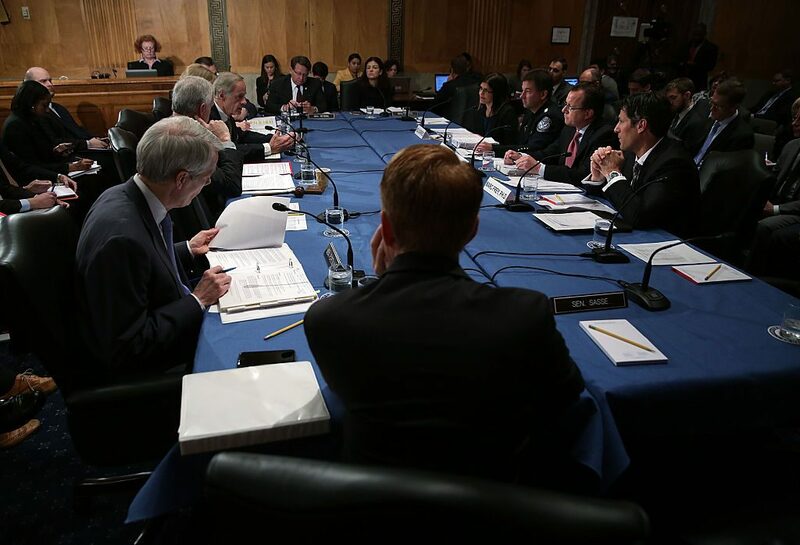 A group of security experts testify during a 2015 hearing before the Senate Homeland Security and Governmental Affairs Committee. The meeting was called to explore how to strengthen the visa waiver program after the Paris attacks. Photo by Alex Wong/Getty Images. In the days since Trump signed the order, the White House has pointed to Obama’s revision of the visa waiver program, and a six-month freeze on visas for Iraqi refugees in 2011, as precedent for restricting who is allowed into the country. In fact, Trump’s order does not name the seven countries subject to the travel ban. It only mentions Syria by name, and then references the 2015 law Obama signed that lists the other six nations. “It’s seven countries previously identified by the Obama administration where, frankly, we don’t get the information that we need for people coming into this country,” Press Secretary Sean Spicer said Tuesday in a White House news conference. But it’s more complicated than that, Leiter says, a point explored in depth in this post from Politifact. The key difference, Leiter and others say, is that Trump’s order bans people from the list of seven countries, while Obama’s action just directed them to a more aggressive vetting process. Another nuance: Trump’s order addresses citizens from those countries, while Obama’s action dealt with those who had visited the list of seven countries in recent years, Leiter said. “So I think there’s some correlation, but it’s really using it for a very, very different purpose. And it misses, again, what the greatest threat was, which is people coming from visa waiver countries where the reviews are much less,” he added. Those kinds of European travelers pose the most immediate terror threat to the United States, said Matthew Olsen, former director of the National Counterterrorism Center from 2011 to 2014. “Because of the ease of traveling to the U.S., that is the biggest vulnerability,” Olsen told the NewsHour. Pope said the consensus among the national security and counterterrorism community is that Trump’s order does more harm than good. “I don’t know anybody who thinks this is a good use of our resources or will make us safer,” she said. Pope also said that there are opportunities to improve national security, but that requires looking more toward Europe. She cited working with visa waiver partners, enhancing European borders controls, improving communication channels with European allies and implementing systems to report lost and stolen passports as more realistic goals. Olsen also thinks drawing a line between Europe’s migrant dilemma and U.S. refugee screening is a false comparison, because refugees are the most thoroughly vetted group that arrive to the U.S. The White House has backed off on part of the executive order that required green card holders from all seven countries to be granted a waiver before they could enter the U.S. Spicer announced Wednesday that waiver was no longer needed. Individuals from the seven countries who do not have green cards will still be barred from the U.S. for at least 120 days. All travelers from Syria, including refugees, are banned indefinitely from entering the United States. Olsen said refugees – who go through a rigid and extensive security evaluation — aren’t the biggest threat, Olsen said. Where Trump’s administration is allocating resources is at a disconnect from where the true danger is, he said.